Two Adorable Little Sibling Boys Eating Fresh Organic Raspberries From Home's Garden, Outdoors. Healthy Food And Snack For Kids In Summer. Royalty Free Fotografie A Reklamní Fotografie. Image 38354925. 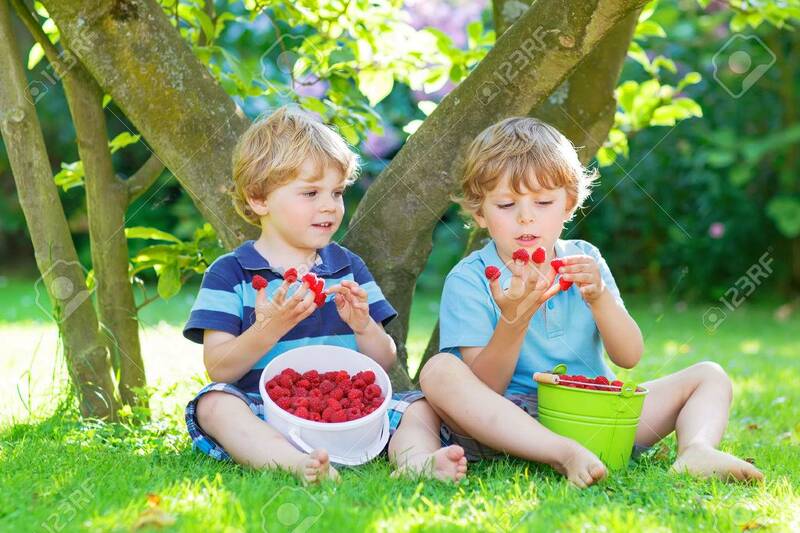 Reklamní fotografie - Two adorable little sibling boys eating fresh organic raspberries from home's garden, outdoors. Healthy food and snack for kids in summer. Two adorable little sibling boys eating fresh organic raspberries from home's garden, outdoors. Healthy food and snack for kids in summer.